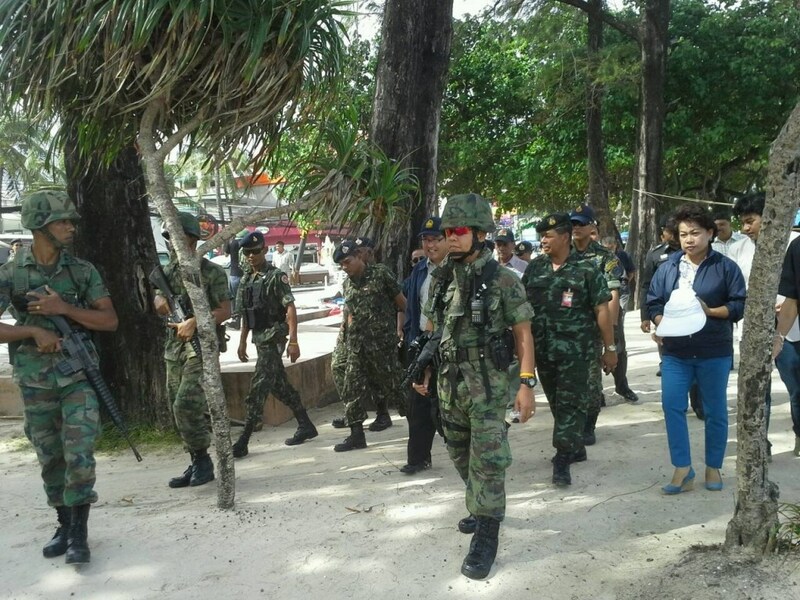 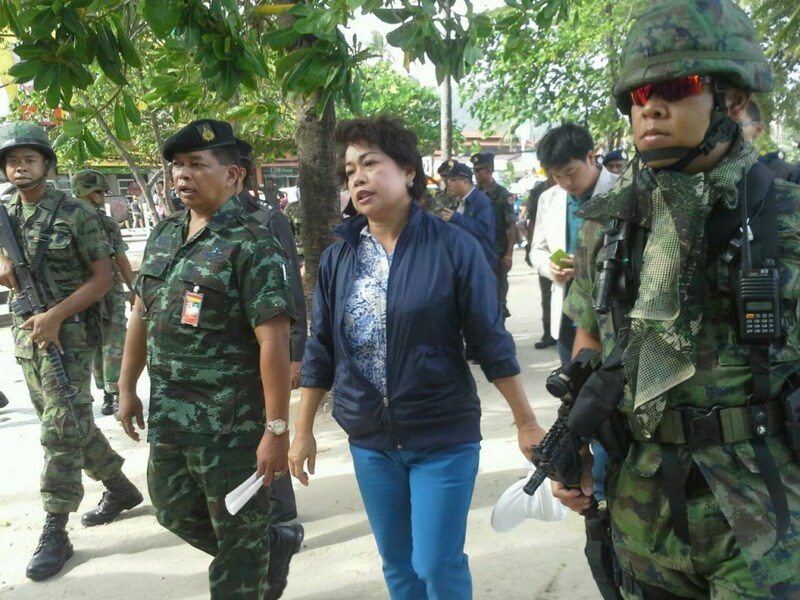 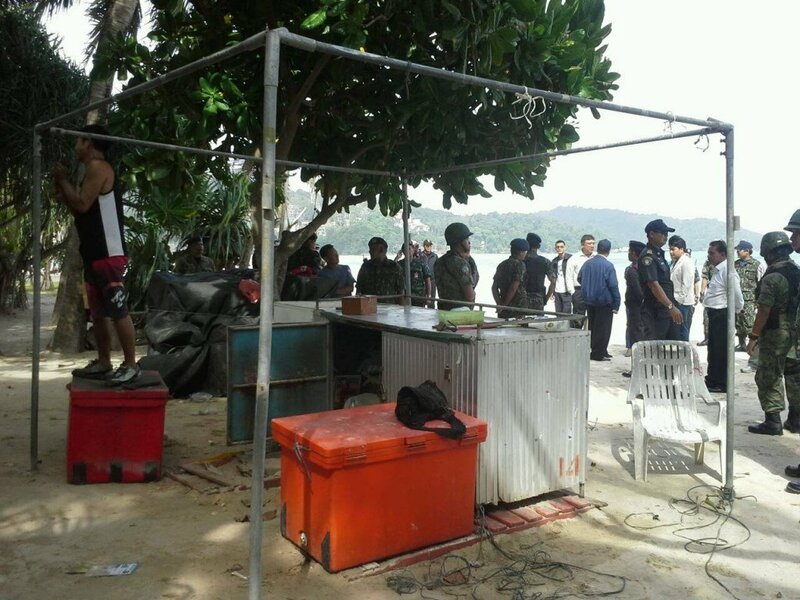 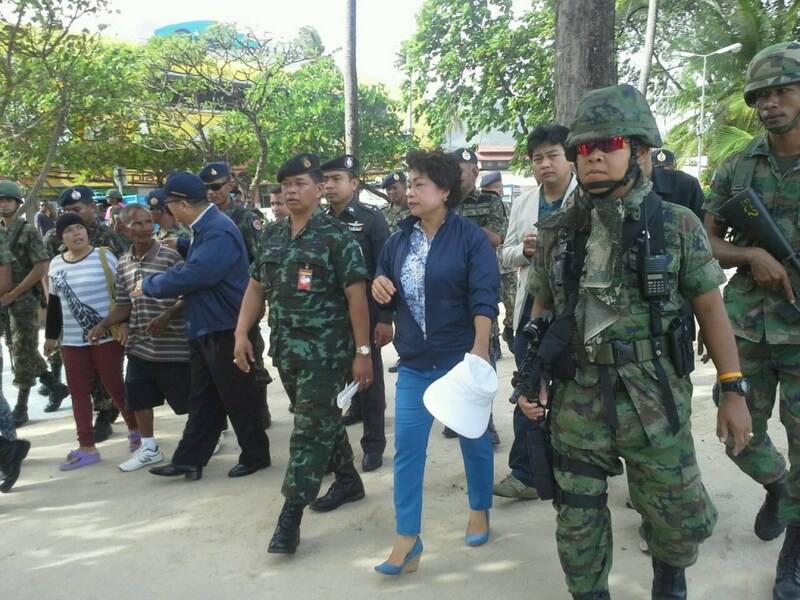 PHUKET: Thai soldiers this morning escorted officials along Patong Beach enforcing the clean-up of the sands. 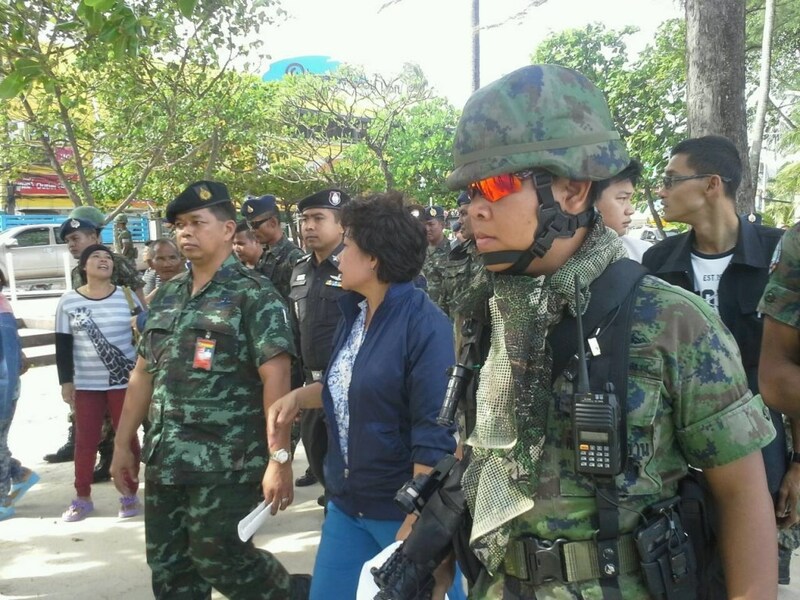 Mayor Chalermluk Kebsap is escorted by Navy Marines on Patong Beach. 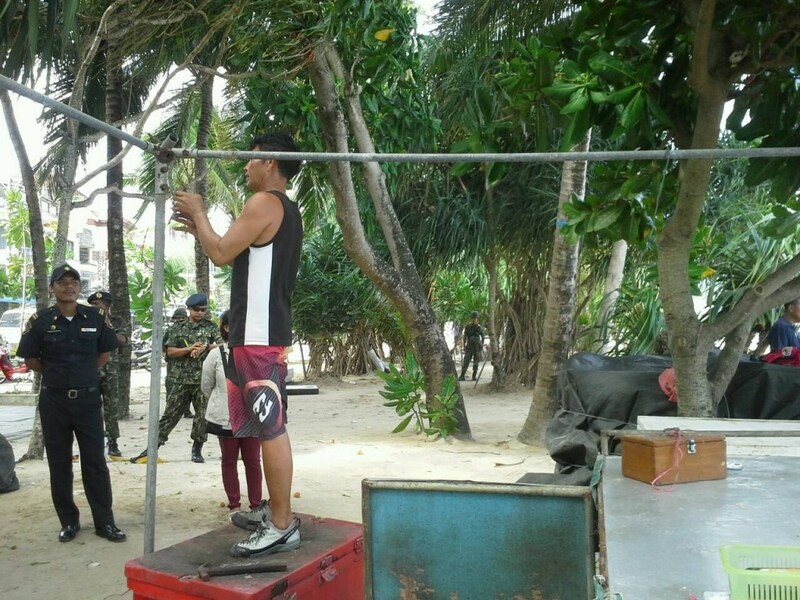 Although some of the people doing business along the sand, particularly beach lounger and umbrella renters, moved out yesterday, other more solid bar, food joints and massage salas remained this morning, but even they were being dismantled.